I bought a sample pack of 100 of coated ACME 200gr SWC, loaded my usual recipe, 3.7gr BE, tried it today on 50 yards target, and it was all over the target. For comparison, I shot another target with my usual load, 3.7gr BE behind 200gr SWC Penn bullets, and they were all on call. I also noticed the coated bullets felt snappier compared to the Penn bullets load, which was very soft. I repeated the same test on the short line, the results were a bit better, but the Penn bullets still were more accurate. I'm wondering what could be the reason for that. How come same bullet weights with the same amount of powder and same crimp shoot so differently? And does anyone have any good experience with coated bullets and can recommend any accurate one? I shoot coated bullets and find them to be the equal of the non-coated I was using. As they are "slipperier", perhaps a different load would change the results? weber1b wrote: I shoot coated bullets and find them to be the equal of the non-coated I was using. As they are "slipperier", perhaps a different load would change the results? I also have moved to the JHP's for the long line. It's not that I couldn't do well enough with the coated lead, but the JHP's are just too good at 50 yards in comparison. I tried the ACME myself in 200 SWC. One thing I did not like about them is they did not cut clean holes like I expected out of that bullet. They tore like ball rounds. Did you compare bullet diameters as this would create different crimp pressures and interactions with your barrel? Some of the guys on the "cast boolits forum" resize after coating. 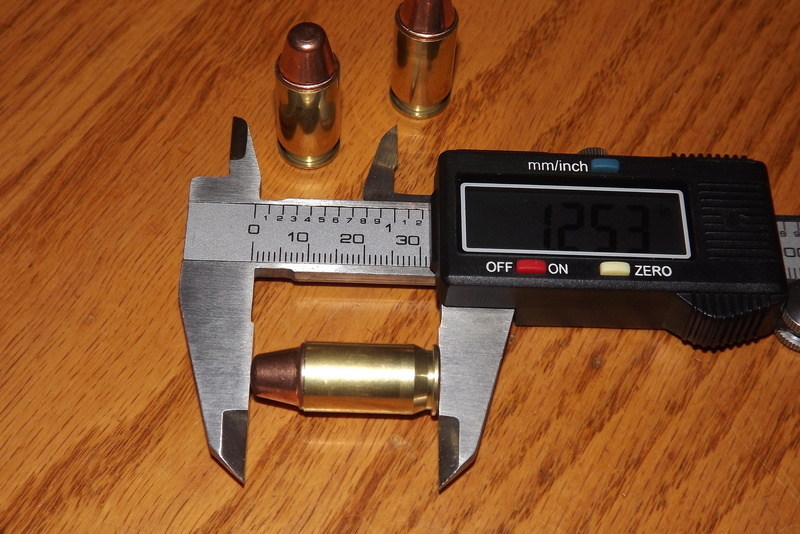 I find that Zero 200gn swaged L-SWC and Precision Bullets 200gn swaged and coated L-SWC are both accurate, but the Zero "always" seems to have the edge for accuracy—not by much. Others push Magnus, but they cost more. Then, you may be shooting a coated bullet that was designed for the needs of action pistol shooters and not Bullseye competition. I can cast very accurate bullets, but I can not get accurate cast bullets from just any vendor. So, if you want to, try some swaged bullets or swaged and coated bullets and see how they compare. 2. When I could get the "good groups!" people over at castboolits to put inches on their group sizes at ranges beyond 25 yards, there were way too many reports of groups no tighter than the 10-ring, and the vast majority around double the size of our 10. So when I need only A-Zone accuracy I can cast up a batch, size & lube 'em, and spend less time and money than I would with any DIY coating. And if I'm gonna buy coated bullets, the price difference to get Dardas or Zeros is worth every penny for the increased accuracy/precision. I posted a few years ago that the jury was still out on coated bullets. Not so any more AFAIAC. Go ahead and try them and maybe you will be among the lucky few who can get a 2- or 2-1/2 inch group at 50 yards. And please tell us if you get results worthy of the long line. Please. I'm willing to change my opinion based on enough evidence. OK, so then I guess the question is, can anyone recommend an accurate *coated* 200gr SWC bullet which works well on the long line? I've heard that Penn bullets offer a coated version, but found no mention of it on their web site. javaduke wrote: OK, so then I guess the question is, can anyone recommend an accurate *coated* 200gr SWC bullet which works well on the long line? I've heard that Penn bullets offer a coated version, but found no mention of it on their web site. This is the only "coated" SWC bullet that I know that works well on the long line. If your range has some kind of restriction on lead and the bullet has to be covered these work great. I use a lot of these both in 185gr and 200 gr. Ok, not exactly powder coated but they are coated. How about the Speer 185 Len? Len, the hornady 200gr swc plated/jacketed bullet has been discontinued. Ok, I guess I still have a bunch of them. I recently bought a bunch of the Speer 185's when Midway had them on a super sale. They work better IMO then Hornady but usually run more money. I will now change my recommendation to the Speer bullet.